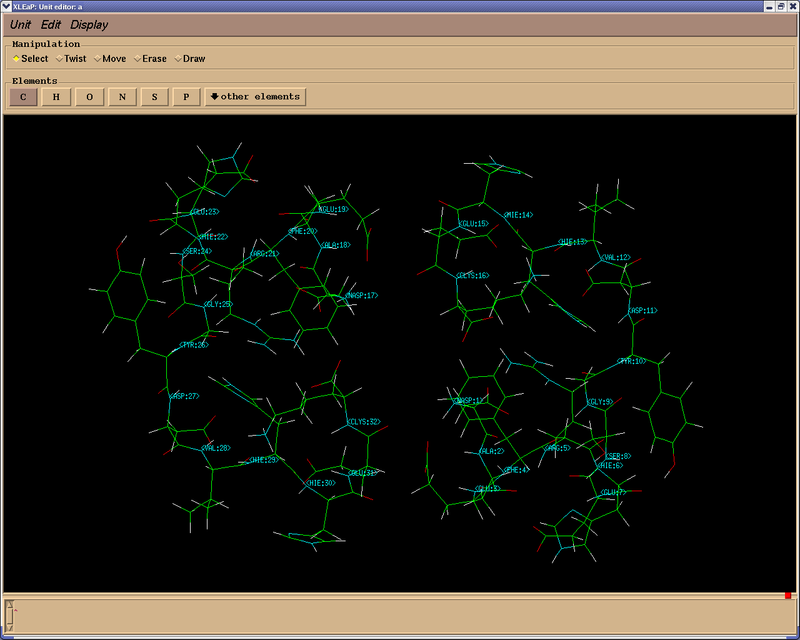 Use the attached PDB file to load the DImer..
> the program needs to add these oxygens.. So that's logical you see..
> I hope this would have answered your questions..
> > last residue of the second chain. > > thus file contained 3 atoms not in residue templates. > > bond formed between the first chain C-terminal and second chain N-terminal. > > Attaching pdb file with mail. > > differently... there would't be any problem from the TER card..
> > > and non bonded. I am attaching the pdb file with mail. > > > will anybody tell me the mistake.